Flood's damage cars beyond repair but that doesn't stop scammers from "repairing" them and passing the cars off as regular, non-flooded, cars. Last fall Hurricane Sandy made landfall in the New York City area, flooding the coastline in parts of Connecticut, New York, and New Jersey, and leaving us with indelible images of a flooded Manhattan. 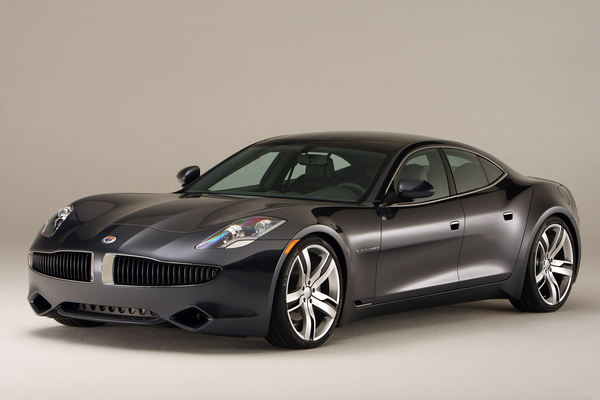 One of the flooded areas was an automobile processing facility in New Jersey that was flooded, destroying thousands of cars in the process of being imported, including several Fisker Karma's that caught fire. Floods occur nearly everywhere, however, and ideally flood damaged cars are never driven on the road again, but today Carfax issued a warning that scam artists are selling flood-damaged cars in other states. According to new research conducted by Carfax, more than 212,000 cars that were branded as flood damage by a state Department of Motor Vehicles (DMV) are on U.S. roads right now. Nearly two-thirds of these flood damaged cars are being driven in ten states: Texas, New Jersey, Pennsylvania, Kentucky, Louisiana, Illinois, New York, Florida, Mississippi and Virginia. However, scam artists are sending these cars to any state where unknowing consumers will buy them. "Our research proves that flood damaged cars are everywhere," said Larry Gamache, communications director at Carfax. "It's big business for professional con men to quickly clean up and resell these cars miles from where the flooding occurred. Consumers need to look out for flooded cars no matter where they live. They're a serious danger to anyone who unknowingly buys one." The problem is that floodwater, especially salt water, gets into the innards of cars causing corrosion and a whole host of problems. Carfax says they retrieved and analyzed a car that had been flooded by Hurricane Sandy, demonstrating how easily cars can be made to appear safe and reliable on the outside. But of course, they're rotting on the inside. "Flood cars are a volatile mixture of water, metal and electricity," continued Gamache. "Once a car is ravaged by water, the mechanical, electrical or safety systems can fail at any time. There's also the health risk, as mold and bacteria permeate the vents and soft parts of the interior. Know what you're putting you and your family into before laying down your hard-earned money. Start with a Carfax Vehicle History Report and thorough inspection by a trusted mechanic." In other words, Carfax is trying to use this situation to sell their services. Carfax's Vehicle History Report let's you check the history of a car and, for example, determine if it had ever been in an accident, or whether there are other red flags. Carfax lets you check for flood damage free of charge at flood.carfax.com.